• ACC Academic Honor Roll (2017 & 2018). Recorded two Top-10 finishes while shooting 74.52 in the 2017-18 year. Tied for third in the season opener at The Doc Gimmler, shooting a 4-under 206. Carded a 4-under 66 in the opening round of The Doc Gimmler on Sept. 9. Tied for sixth at the Mobile Sports Authority Intercollegiate, shooting a 4-under 212. Played 21 rounds in 2017-18, tying for the fifth-most on the team. Ranked third on the team in par 3 scoring (3.17). Played in 29 rounds and 10 tournaments, producing a stroke average of 73.76 and shooting +2.69 vs. par. Eight of his 29 rounds played were at par or less, while three of his rounds were shot in the 60s. Had two Top-10 finishes, placing seventh at the year-opening Rod Myers Invitational (-3) and tying for eighth at the Seminole Intercollegiate (-8). His best round of the year was a 4-under 68 in the second round of the Rod Myers Invitational held at Duke University Golf Club on Sept. 10, 2016. Did not compete in first year. Three-time regional champion from his freshman to junior seasons. Earned an individual state championship as a freshman while also being named all-state and all-county. Has three Top 10 finishes in amateur tournaments, highlighted by a fifth-place finish at the Carolinas/Georgia Junior where he shot a two-day score of 146 (68-78) in 2013. Parents: Karen and Stephen Keppler (father was an All-American golfer at FSU in 1982). How did you first start getting into golf? My dad introduced me to the game. What would you say is your greatest golf moment so far? Playing for FSU last year. Who is your favorite professional golfer? Tiger Woods. He would make any tournament interesting and out-worked everyone. My favorite club in my bag is: Wedges. They are your scoring clubs. 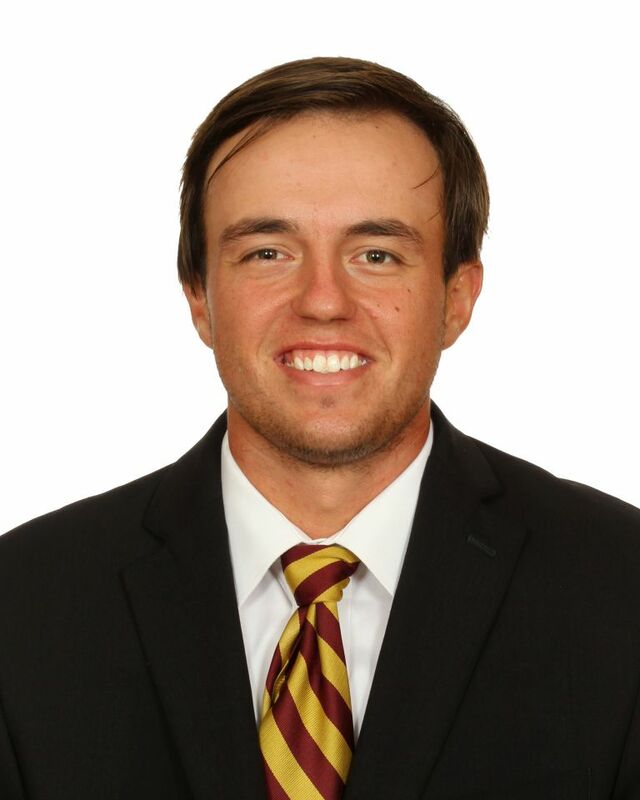 I chose to play for Florida State Men’s Golf because: It has been a lifelong dream of mine. What is something many people don’t know about you? I love Crystal Palace F.C. What is the best advice you have ever received? Not everything will go your way. It’s the way you react to everything thrown at you. What music are you currently listening to? Country. What shows are you currently watching? Prison Break. What’s your favorite movie? Remember the Titans. Outside of golf, what are some of your passions in life? Hanging with friends and fishing. What is the single greatest lesson golf has taught you? Things could be worse in life. I am playing golf. If you could be any superhero, who would you be and why? Flash. So I could run fast and go anywhere. What makes Florida State University a great place? Everyone is family here. • Round: 68 (Rod Myers Invitational; Fall 2016). • Best Finish: 7 (Rod Myers Invitational; Fall 2016).